Although the Model S is an amazing car with amazing technology, one of its nagging drawbacks is the lack of Android Auto integration. Tesla's own navigation engine finally caught up with Google Maps about a year ago, so that's not a big issue; however, music integration continues to be a weak spot. The car comes with Slacker and TuneIn Radio, both of which are ok, but nothing you can really control in terms of actual song selection. You can plug in a USB drive with mp3 files, but the media player interface is terrible, and still messes up compilation albums (creating a separate album for each individual artist on the compilation). 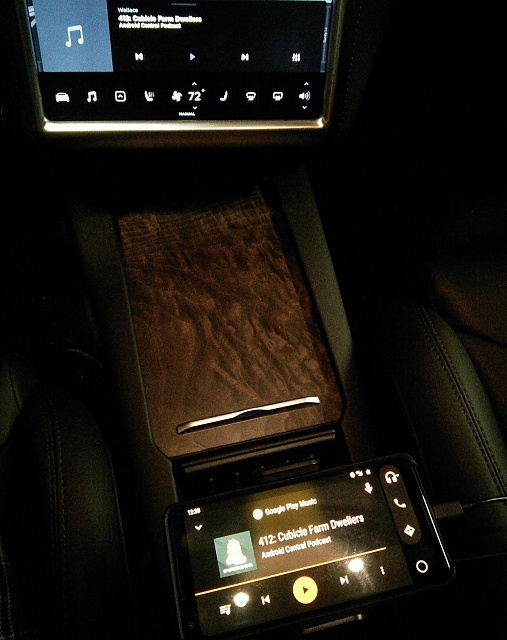 So I've been streaming Google Play Music more often through my phone, and finally tried to figure out the best way to mount the phone in the car, for ease of access and safety. 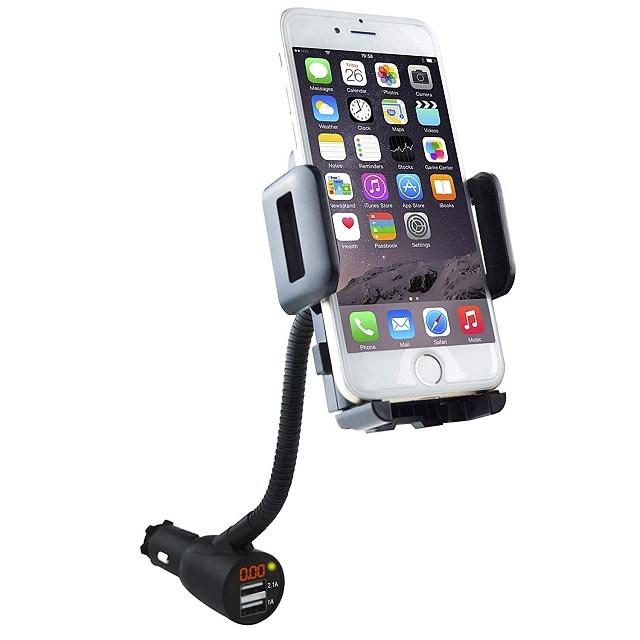 This was much easier said than done, because I don't like the usual car mount solutions. Suction cups invariably lose their suction, and I've had the experience of the mount falling off the windshield or dash (along with my phone) while driving. I've had vent clips break the louver slat on a previous car due to poor design (and besides, the location of the most convenient air vent would be partially blocked by the steering wheel). Cup holder mounts won't work because the center cup holders are pretty far back. 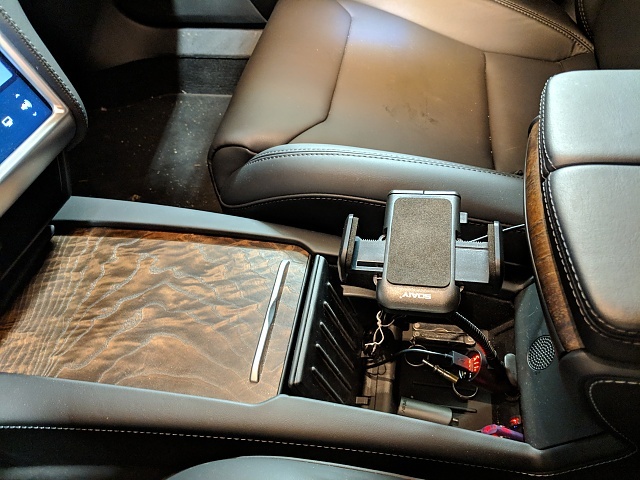 At first, I thought a cigarette lighter mount wouldn't be feasible either, because of the position of the outlet (toward the rear of the center console, facing forward). But I finally found a cigarette lighter mount that works reasonably well: https://www.amazon.com/Cigarette-Det...cUvbUpU6464092. Unlike a lot of the other cigarette lighter mounts out there, this one doesn't have an overly bulky plug, which would probably have trouble fitting in the relatively tight space. It has a flexible gooseneck that is still fairly stiff, which is important given the size and weight of most larger phones these days (otherwise, when you tap on the phone, the whole thing might wobble too much). The phone holder part attaches to the gooseneck with a ball joint, but this can also be tightened to be stiff enough -- again, important for big phones. The holder has a nice grip mechanism that is easy to use and feels very secure. There's also a quick release button so that you don't have to spend any time fiddling with it when you're ready to leave the car. The plug has two USB-A ports, one of them 1.0 A, the other 2.1 A. There's also a digital volt/amp meter, in case that means anything to you. Here are some photos -- please excuse the terrible quality of the 3rd one, since I had to take it with my old Nexus 7. Update -- I discovered that with the phone in a flat position, a sharp turn could actually change the screen orientation from landscape to portrait (I guess I take turns too tightly sometimes, but hey, don't take away the enjoyment of driving the car! ). The native Auto-Rotate toggle will only lock the screen in portrait, not landscape. So I installed Rotation Control, which solves that problem nicely -- and it's free and ad-free.